June 21 1909 -- The new Vernon ball club loses two to the Sacramento nine in a morning - afternoon doubleheader. In the first game the Vernons made a decent showing, but in the afternoon Sacramento came out with big bats and indomitable pitching, leaving Vernon with a goose-egg on five weak hits. 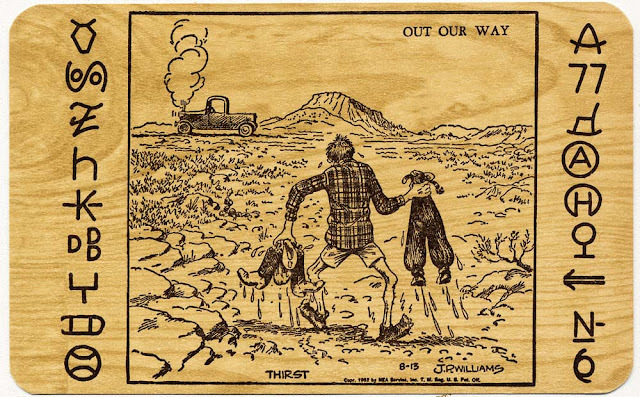 Sometime in the 1950s the Standley-May Company of Albuquerque issued a set of J.R. Williams' Out Our Way newspaper panels as postcards. Most of the cartoons focused on western themes, and the publisher enhanced the look with a wood grain pattern in the background, and cattle brands along the sides. 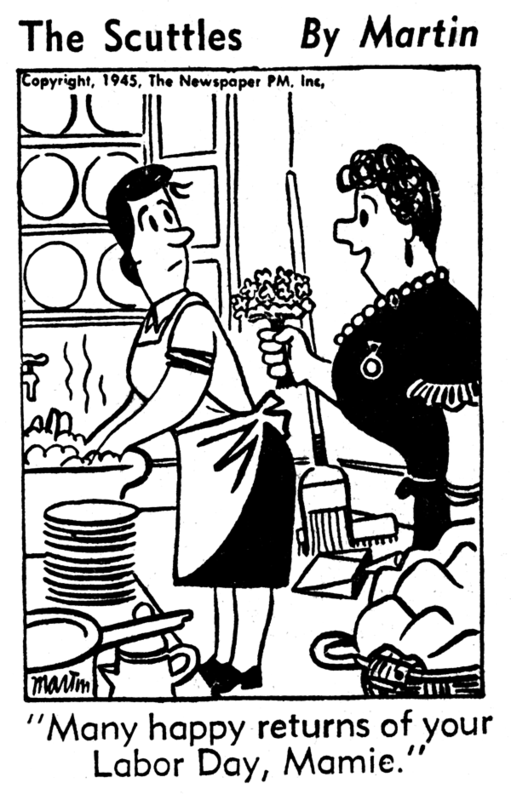 There used to be ready printed calandars of Out Our Way as well, I recall some with the family/neighborhood panels, and also exclusively the cowboy themed ones. 1950s, I guess. M. Koenigsberg, president of International News Service, Universal Service, King Features Syndicate, Newspaper Feature Service, and general manager of other Hearst organizations, has been named Chevalier of the Legion of Honor. Ambassador Claudel was advised by cable to notify M. Koenigsberg of the honor. Executive committee advises me that you question propriety of the acceptance by the president of your two news services of a decoration by the Legion of Honor of France. Thus, what I believe should have your high approval, appears to have evoked your condemnation. I am quite willing to resign as president of International News Service and Universal Service if you so desire, with the understanding that such action shall not be construed as an acquiescence in any charge of impropriety on my part or as the surrender of any other rights by either of us. In view of the quarter of a century of our association and in an eagerness to minimize the difficulties of the situation I am disposed to effect an immediate adjustment of my personal service contract on most liberal terms. This contract, which is with your syndicates and not your news services, has less than a year to run. What are your wishes? Coincident with his formal acceptance of the Cross of the Legion of Honor of France yesterday, M. Koenigsberg announced his resignation as executive head of a group of Hearst news and feature services, of which he has been in charge, the Associated Press announced. The French decoration was presented at a luncheon at the home of Pierre Cartier, jewel merchant and friend of Ambassador Claudel. M. Koenigsberg was president of International News Service, Universal Service, King Features Syndicate, Newspaper Feature Service and Premier Syndicate, and was vice-president and general manager of International Feature Service, all of which are owned by Mr. Hearst. Mr. Koenigsberg made no comment beyond confirming the fact that he had accepted the decoration and had severed all connection with the Hearst organization. Mr. Hearst’s representatives here declined to comment on Mr. Koenigsberg’s action. The episode became a topic of lively discussion, especially among newspaper folk. Many were disposed to find in the circumstances a slur on the freedom of the press. Of course there was no warrant for such a view. A testimonial dinner of embarrassingly pretentious scope was tendered to me. It was organized under the auspices of the Friars Club, a theatrical and journalistic organization perhaps better known outside New York than any other social body in Manhattan. George M. Cohan presided. The speaker of the evening was Dr. Nicholas Murray Butler, president of Columbia University. The affair was probably inspired as much in reproval of Hearst as in endorsement of the guest of honor. The date was fixed for April 22, 1928. It coincided with the annual convention of the American Newspaper Publishers’ Association. Several hundred members of that organization attended the banquet, which was given at the Astor Hotel. It is gratifying to recall how widely representative was the list of committees. They included Louis Wiley of the New York Times; Howard Davis of the New York Herald-Tribune; Keats Speed, managing editor of the New York Sun; Julian Mason, managing editor of the New York Post; Herbert Bayard Swope, managing editor of the New York World; Victor Ridder, publisher of the Journal of Commerce; Paul Block, owner of the Paul Block chain of newspapers; Otto H. Kahn, the financier; David Belasco, Daniel Frohman, Sir Harry Lauder, Paul Whiteman, Jack Dempsey, Lionel Atwill and Arthur Brisbane. I am told that I am the only person who ever returned the Cross of the Legion of Honor to France. That is a regrettable distinction. Consider that it was the dream of my boyhood to win that decoration. Consider that its acceptance entailed the severance of a professional relationship covering a quarter of a century. Then consider the wrench of giving that decoration back. My action has been referred to as a protest. That isn’t altogether accurate. After all, what would the protest of a private individual mean to a French parliament that decided an international debt covenant was merely a scrap of paper? I intended my action as the sorrowful recognition of a cultural catastrophe. Our civilization must stand or fall on the principle that covenants are sacred. When repudiation sets that principle aside, we would better take to the jungle. The Legion of Honor derives its existence from the Government of France. When that government dishonored itself, the taint was attached to the emblem of the Legion. I have merely returned a tainted emblem. Let’s have a practical illustration. Suppose you were given a letter of recommendation by an eminent person. Suppose that after you had received the letter, the writer flagrantly disgraced himself. What would you do with the letter? Certainly, you wouldn’t present it. You might hide it. I’m not good at hiding things. You might destroy it. I don’t like to destroy things. You might return it. That’s what I did. The many sympathetic messages that came after my withdrawal from the Hearst organization may be traced in part, at least, to memories of a singularly pleasant institution. That was the series of Larks which each April for nine years drew the enthusiastic presence of editors and publishers from every state in the union. They were invitation affairs. But their fame became so great that large bribes were held out for cards of admission. As much as $200 was offered for one in 1927. So many outsiders tried to crash that it was necessary to station at each door representatives of King Features Syndicate to whom every visiting editor and publisher was known. The annual spring convention in New York of the American Newspaper Publishers’ Association, which always included meetings of the Associated Press and other professional groups, had been declining in interest and attendance. The advisability of suspending these meetings or transferring them to other dates or places was being urged. It was then that King Features Syndicate conceived and presented its first Lark. After the third, more editors and publishers appeared regularly as guests at the King Features Syndicate Larks than had constituted the complete attendance at any one convention for several preceding years. All the parties were given in the Friars Club, which maintained its own building on West 48th Street near Broadway. It contained a fully equipped stage in a banquet room which seated approximately 490 guests. The name of the club-house was The Monastery. This, together with the title of the club, drove home the ostensibly inviolate rule - and boast - that no woman could cross its threshold. Every year at least one spectacular novelty was produced. An instance was a sudden shower of especially edited and printed tabloid newspapers. When the startled guests looked up to the ceiling, there was nothing to solve the phenomenon. Not one of the five hundred newspapermen knew how this was done. And they still do not know. The paraphernalia of illusion were created and supervised by Houdini, the immortal magician. They were constructed by a crew of expert workmen. None of the spectators was more completely bamboozled by this conjuring trick than Arthur Brisbane. It should be borne in mind that Brisbane’s “Today” column was widely regarded as the last word in popularized erudition. His corrugated brow had served as the model for an artist’s conception of “The Thinking Machine.” Seated beside me on the dais, he listened intently to my explanation that “the chief event of the evening—demonstration of how material substances are deliverable by radio—must be put off for a few moments because of a delay in bringing the mass transformers into unison with the atomic coherers.” Brisbane accepted this in all seriousness. When, a minute later, the rain of tabloids descended, he turned to me with a look of eagerness. “How did you do that?” he asked. “You know, I’ve always believed in the theory of atomic coherence.” I didn’t answer. It would have been most unkind to disillusion Arthur. A historic Lark stunt was the presentation of the first talking picture ever exhibited outside of a laboratory. This was an address by President Coolidge made on the rear lawn of the White House by special arrangement. It was engineered by Jack Lait— then the Sunday editor of King Features Syndicate—with Dr. Lee DeForest, inventor of basic parts of the sound-picture process. DeForest himself turned the crank. Two truckloads of equipment had been driven from New York to Washington overnight to record the President’s voice. With my announcement as toastmaster, “You will now be addressed by the President of the United States,” the lights were blacked out. Suddenly on a screen the President was seen and heard to speak. The sophisticated guests were dumfounded. They thought it was another sample of Houdini magic. That was on the evening of April 21, 1925. The event was recounted in press association dispatches that appeared the next day under top heads in newspapers throughout the country. The stories described “the first actual demonstration of the phono-film” as a notable scientific achievement. They included the speech of the President of the United States to the guests of King Features Syndicate. To enlist the personnel required for the production of these entertainments the utmost influence and pressure were needed. No amount of money conveniently translatable into figures could have bought this talent or assembled these celebrities on the same bill for a paid performance. As will be seen, the task did not end with the borrowing of players to give their time and routine service, as is done in the Broadway “benefits.” For each Lark everything in every show was original, created for it by writers, directors and composers. Out of this material grew many famous vaudeville acts, sketches and one entire revue, Spice, which broke Broadway records and ran for three years throughout America. Such men as David Belasco (who turned down an offer of $5,000 to speak on the radio for five minutes that night) not only staged these skits but made personal appearances in them and with them. At one Lark, Caruso drew charcoal cartoons while he sang without accompaniment. George M. Cohan directed, wrote and performed for the parties. Large casts of stars played especially written burlesques of their own scenes. On the nights of the King Features Syndicate shows, all Broadway was disrupted. Frequently professional schedules were altered to permit members of the company to appear in the Lark at the Friars Club. On one occasion Lillian Leitzel, the stellar aerialist of the Ringling Brothers-Barnum & Bailey Circus, did her wrist spin over the heads of the guests suspended from the center of the ceiling. The roof was not constructed to stand such strains. So an engineer was engaged to reconstruct it—for an act that occupied four and a half minutes. In addition to serving as palatable a dinner as New York cuisine could provide, there was the problem of Prohibition. For this a subterfuge was invented. Now that it can be told, the ruse may be forgiven. There was a law against buying, selling or transporting liquor. There was no law against its possession. A constant resident of the club was William D. Weinberger, its secretary. He was chosen as the “host” to be solemnly thanked on each occasion for “contributing” from his apparently inexhaustible stock of pre-Prohibition scotch, rye and bourbon. In truth, cases of genuine imported liquor were purchased from sources which supplied the flower of Park Avenue and Wall Street. And even then, every bottle was analyzed by chemists before it was accepted. Each Lark brought with it an individual souvenir. Some especially created were highly prized. One was a glass container in a walking-stick. It supplied an added modicum of the forbidden cheer to take home. A timely significance attached to each favor. Some of the walking-sticks are still treasured. The total expense of each show ran from $14,000 to $25,000. Considered by many a prodigal outlay, it was one of the soundest good-will investments ever known in newspaperdom. A roster of the players who appeared in these entertainments would run into the thousands. 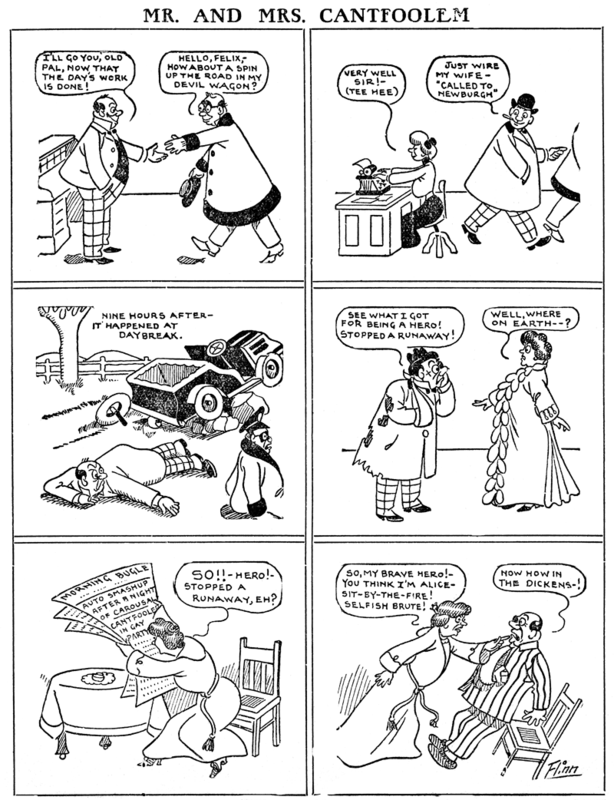 This should give a picture of a typical King Features Syndicate Lark: George M. Cohan and Charlotte Greenwood in a burlesque of the balcony scene from Romeo and Juliet; Henry Hull and Lenore Ulrich with the entire cast of Lulu Belle in a fifteen-minute strip from that success, followed by Fanny Brice and her brother, Lou, in a burlesque of the act (this travesty became the principal number of a subsequent Broadway revue, Le Maire’s Affairs), Valeska Suratt, El Brendel and Armand Kaliz in a sketch, All Night Long, around which the revue Spice was written, to open the following summer at the Winter Garden; Paul Whiteman with a band of thirty-six (at the time when he was the only famous Broadway conductor), with Ruth Etting and the late Helen Morgan in a musical program individually staged for this Lark; Texas Guinan and her entire company, including George Raft, Joan Crawford, Cecil Cunningham and Betty Compson in a floor show staged by Billy Rose (this took forty minutes, during which Texas Guinan’s million-dollar “booby trap” went without a show); David Belasco doing a part in a parody of his then current success The Bad Man, in which he played “the best damn caballero in all Mexico” with Holbrook Blinn and Judith Anderson supporting him; Weber and Fields, not only appearing for the first time in years since their retirement, but brought together after a feud of years’ standing; Ed Wynn, W. C. Fields, Eddie Cantor, Bert Wheeler, Willie and Eugene Howard in a burlesque of the Sextette from Lucia; Mae West singing Frankie and Johnnie, with Harry Richman at the piano; Will Rogers, with special material directly aimed at the newspapermen. There is a chap in New York named M. Koenigsberg. He used to be in St. Louis. He is now with W. R. Hearst. Most folks think Arthur Brisbane at $52,000 per year is Hearst’s highest-paid man but I was told tonight that William Randolph Hearst pays Koenigsberg $250,000. He may be worth it. But maybe he spends a part of it. He had five hundred editors as his guests tonight at the club at 110 West 48th Street. . . . I doubt if any living genius could have called such a company together, even free as it was, except Koenigsberg and maybe that is the reason why he gets five times as much as Brisbane is reported to get. Maybe Koenigsberg has to deduct for expenses. . . . If Mr. Campbell’s appreciation of the Lark matched his estimate of my salary, King Features Syndicate was well repaid for his entertainment. He might have approached somewhat nearer the actual figures if he had reversed the names. What Editor Campbell put into extravagant phrases, other Lark guests put into an extravagant testimonial. It came as a complete surprise. It was presented by a committee that had moved in secrecy until the appointed evening. The members were Major John S. Cohen, editor of the Atlanta Journal; C. P. J. Mooney, editor of the Memphis Commercial Appeal, and Robert Ewing, publisher of the New Orleans States. That year the King Features Syndicate Lark was interrupted to permit the presentation to me of a suite of antiques. That generous token has been treasured not only in memory of the givers, but as a souvenir of the extraordinary parade of talent which wrote entertainment history on a countrywide newspaper slate. The New York City daily Newspaper PM was a noble experiment in liberal journalism that was funded by Marshall Field and ran from 1940 to 1948. Along with great writing they offered up some great cartoon content. The Scuttles, while just a small unassuming 1-column panel, packed an outsized punch. Mr. and Mrs. Scuttle are prime examples of what the lefties call the clueless 'can't see beyond their manicured lawn' bourgoisie. The panel depicts a class of citizen that in normal times might just be annoying in their petty silliness, but could pose actual danger, in their small ways, while fighting a world war. The panel debuted on October 12 1942, penned by Charles E. Martin, who had not yet taken up the familiar "CEM" signature that he would use as a perennial contributor to the New Yorker. CEM gave up the panel with the entry of May 8 1943, and it was continued the next Monday by a cartoonist who signed himself 'Ajay'. A guess at the ID of this cartoonist that I printed in my book turned out to be wrong, and Alex Jay will reveal his real identity here on Monday in an Ink-Slinger Profile. Ajay continued the panel until December 16 1944, at which point Martin returned to the fold. 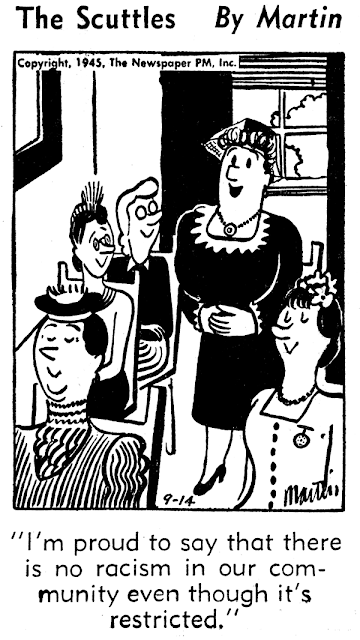 Martin continued the panel until it was retired on January 5 1946, at which point it had lost a lot of its relevance. Edmund Francis Flinn was born in California on July 4, 1878. His full name and birth date are from his World War I draft card. Flinn’s birthplace was recorded in the censuses. In the 1880 U.S. Federal Census, Flinn was the only child of John, a butcher, and Sarah, an Irish emigrant. The family and a servant resided in San Francisco, California at 907 Jones Street. 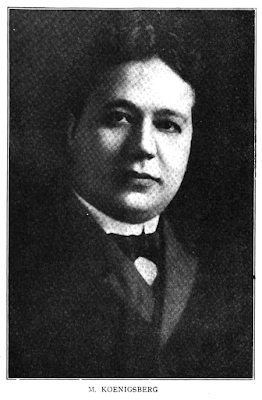 Flinn graduated from San Francisco’s Polytechnic High School according to a profile of Herb Roth in Who Is Who on the World (1922). The San Francisco Call, June 25, 1901, said Flinn was an artist on local papers. At some point artist Flinn moved to New York City. According to the 1900 census, he was one of seven people boarding in the residence of Thomas Killilea, a physician, and his wife Anna. Their address was 246 Fifteenth Street. Flinn’s parents and two sisters lived in San Francisco. The Call, July 5, 1901, said Flinn celebrated his birthday with his parents who celebrated their 25th wedding anniversary. American Newspaper Comics (2012) said Flinn drew several strips for the New York World. Flinn drew The Importance of Mr. Peewee which appeared January 31, 1903. It was turned into a series, beginning September 8, by Harold A. McGill, who was followed by an artist who used a drawing of a dog as his signature. The last artist was Ferd G. Long. From Flinn’s pen came Girls, Did It Ever Happen to You? ; He Doesn’t Love Her Anymore; Letters from a Selfish Wife to Her Husband; Mr. Cantfooler; Mr. and Mrs. Pinch; The Rapidtoodleum; and The Sammy Smudge, Evening Fudge Wonder. 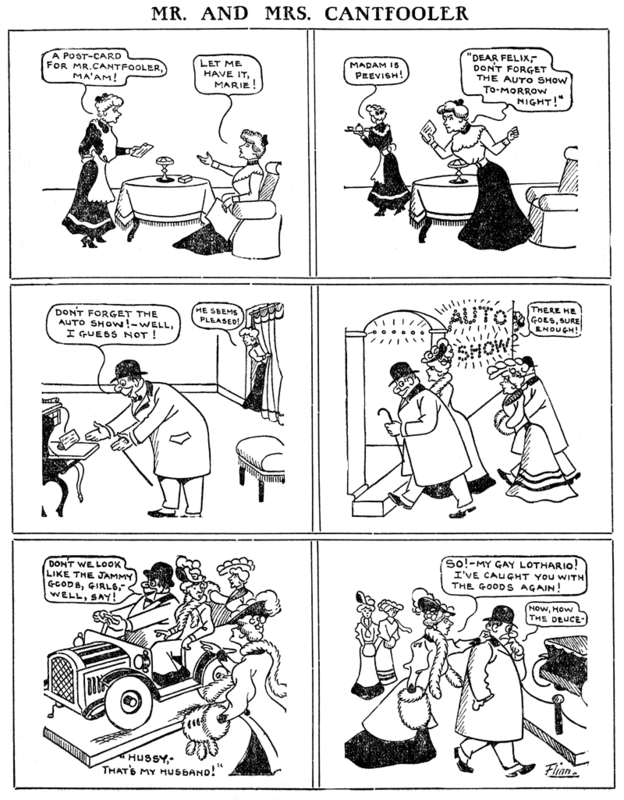 Flinn drew the second installment of George Herriman’s Mrs. Waitaminnit, the Woman Who Is Always Late. When the World folded, Flinn created Upsets of Mr. Cutup for the New York Evening Telegram. In the 1905 New York state census, Flinn was married to the former Anna Killilea. The couple were in the household of another Thomas Killilea, his wife Frances, and nephew Thomas R. Killilea, Jr. All resided in Manhattan, New York City at 150 West 83 Street. Newspaper cartoonist Flinn, wife and step-son, Thomas R. Killilea, Jr., were Manhattan tenants at 526 West 151 Street as recorded in the 1910 census. The Call, February 5, 1913, published a death notice for Flinn’s mother. Flinn signed his World War I draft card on September 12, 1918. He was employed at the New York World newspaper as an advertising art director. Flinn’s description was tall, medium build with blue eyes and brown hair. He and his wife, Anna White Flinn, made their home at 584 Academy Street in Manhattan. The same address was in the 1920 census. Editor and Publisher, October 2, 1920, said Flinn was the advertising art manager of the World. A few years later, Flinn moved to the village of Floral Park in Nassau County, New York. The Brooklyn Daily Eagle, April 8, 1924, reported the formation of the Floral Park Co-operative Savings and Loan Association. Flinn was a member of the board of directors. The 1925 New York state census listed newspaper manager Flinn, his wife and step-son, in Floral Park at 184 Plainfield Avenue, the same address was in the 1930 census. Flinn passed away March 4, 1936, at his home in Floral Park according to the Long Island Daily Press, March 5, 1936. The New York Times said the cause was coronary thrombosis. Flinn had remarried and was survived by his wife, Petra Hansen Flinn and her three children, and a sister. Flinn was vice president of the Floral Park Federal Building and Loan Association, a trustee of the Floral Park Public Library, a director of the Inter-County Title Guaranty and Mortgage Company and the Vantile Holding Corporation. Ed F. Flinn was employed at the New York Evening World for many years as a cartoonist, but it really wasn't his calling. His drawing ability was just fine (his clean unadorned style reminds me very much of Roy W. Taylor, who was also in the World bullpen), but as a gag-writer he was just plain awful. The above samples of his series Mr. Cantfooler show his tin ear for comedy. These strips read like short documentaries of a dysfunctional marriage, not gags. 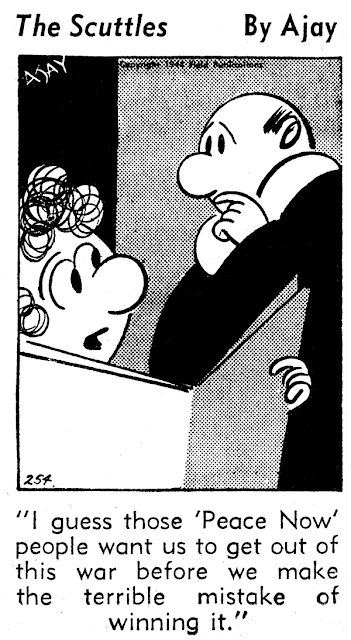 The really painful part is that Mr. Flinn plays a pivotal role in comic strip history, as sort of the 'biological father' of the first daily comic strip (see Hogan's Alley issue #12 for an explanation of that statement). 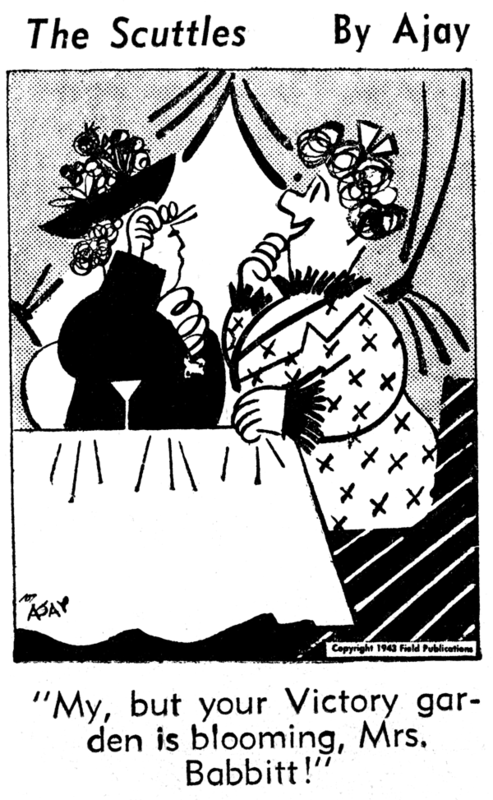 How embarrassing to have him in the pantheon of pioneering cartoonists, even in a bit part. 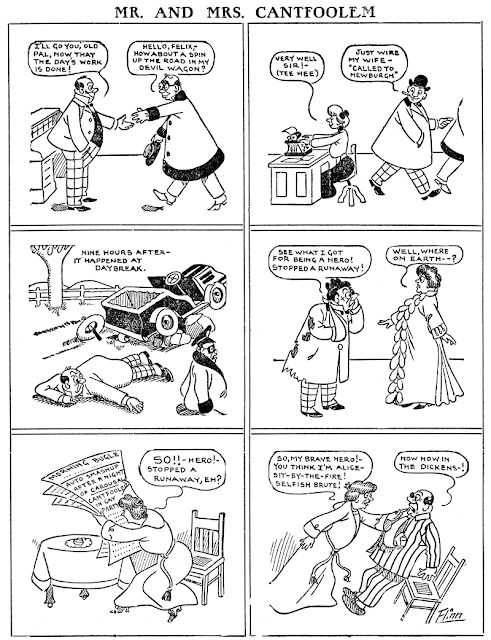 Mr. Cantfooler, which also ran under the titles of Mr. Cantfoolem and Mr. and Mrs. Cantfooler, ran as a weekday strip in the Evening World from August 22 to December 15 1906. I am trying to find information on a sketch / comic panel artist from the Seattle Area name of Jack Pierce. I have a group of his work that looks very much like New Yorker or Esquire. I have some old addresses, but mostly a dead end.